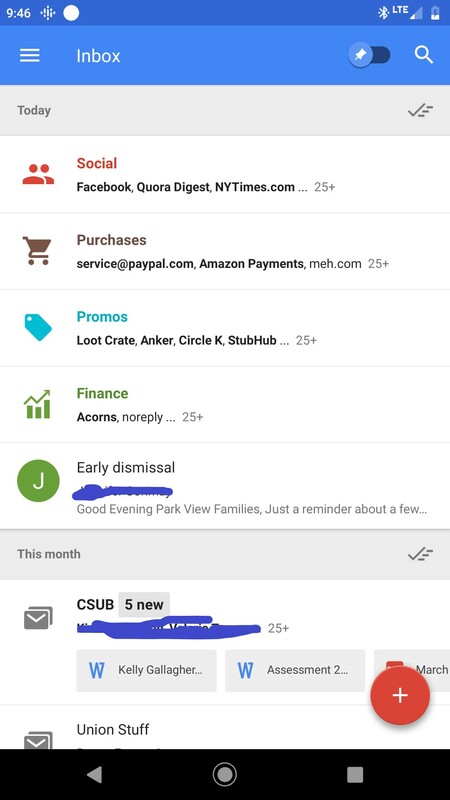 Did anyone here use Inbox? How are you surviving without it? Because I am not. redtokyoboxers and It's Gamera! like this. 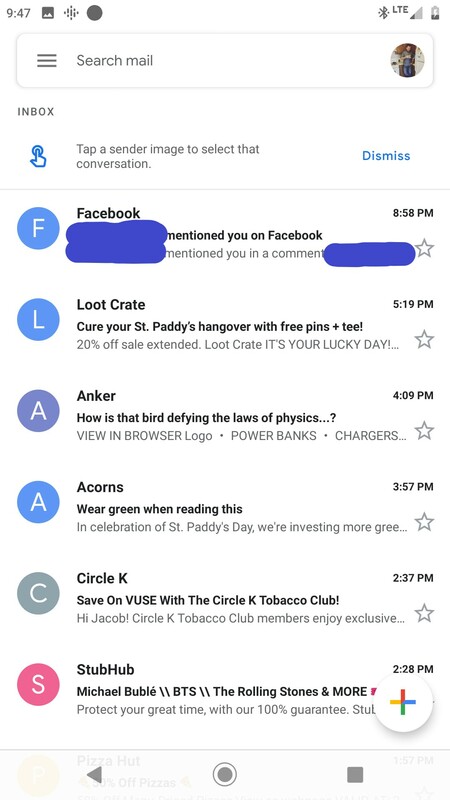 Auto-bundling emails was a life saver. All the junk promo stuff in one bundle. Purchases in another. Work stuff, MTurk stuff, all separated automatically. Any time I traveled every email related to it go it's own special thing at the top of the list. They've said Gmail will add Inbox features but it's the same Gmail from like 12 years ago. That does sound really cool. I like Gmail's filters, but they're kinda annoying to setup sometimes. why do I have to scroll through stuff about Michael Buble just to get to my union emails, goddammit. Wtf is wrong with Michael Buble? Vanyanka and redtokyoboxers like this. Researchers at Suffolk University are looking for sexually active heterosexual young adult males who are fluent in reading/writing in English to participate in an anonymous online research study examining the role of sexual identity, gender identity, gender roles, and sexual assertiveness on sexual consent attitudes and behaviors. The survey is mostly made up of multiple-choice questions although there are some open-ended questions that ask you to reflect on how you understand the sexual consent process. We really appreciate your time and careful thought about these topics as we hope to use this data to inform young adults about how to have safe sexual encounters. Please click the survey link to be re-directed to qualtrics. You will fill out a brief 20 second screener; eligible participants will be forwarded to complete entire survey for $3.00. I am going to be up all night. I can feel it. Something post or something be interesting. JenniLeigh and Jamie Taylor like this. Put this earworm and interesting video in your head. Am I going to regret working the Jung Sung Woo HIT "Creation of video descriptions and Q&A pairs", the one involving describing Friends episodes? I saw $10.00 for less than 30 minutes work, and green, according to turkopticon. Then I go over to Turk TO and see two unhappy workers. I needs that money! Nothing interesting about me is SFW.